This month, we're celebrating a very long history of being a trusted partner with Performance Grilling Systems, otherwise known as PGS. Started by the creator of the gas grill (yes, the guy who first came up with the design for PG&E back in the day), this company first helped PG&E, Arkla, Ducane and DCS with getting the idea to market. Later, he (Phil Arnold) went into business for himself and, of course, he is now a legend! Their new grills feature all 304 stainless construction, high-performance parts, excellent quality stainless that can withstand the beach air (one of only two grill manufacturers we recommend for near a beach or salty air), and they also have a genuine commercial line with timers built-into the grill heads AND certified this way. 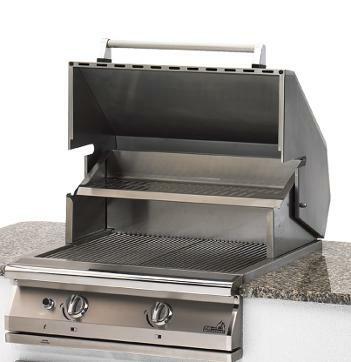 BUY A 30" BUILT-IN PGS NEWPORT GRILL HEAD FOR ONLY $2,599 AND YOU WILL RECEIVE A FACTORY VINYL COVER AND A 14" X 20" ZEUS STAINLESS STEEL ACCESS DOOR... FOR NO EXTRA CHARGE!!! Our relationship with the R.H. Peterson Company started back in 2000 when we were just starting our business. 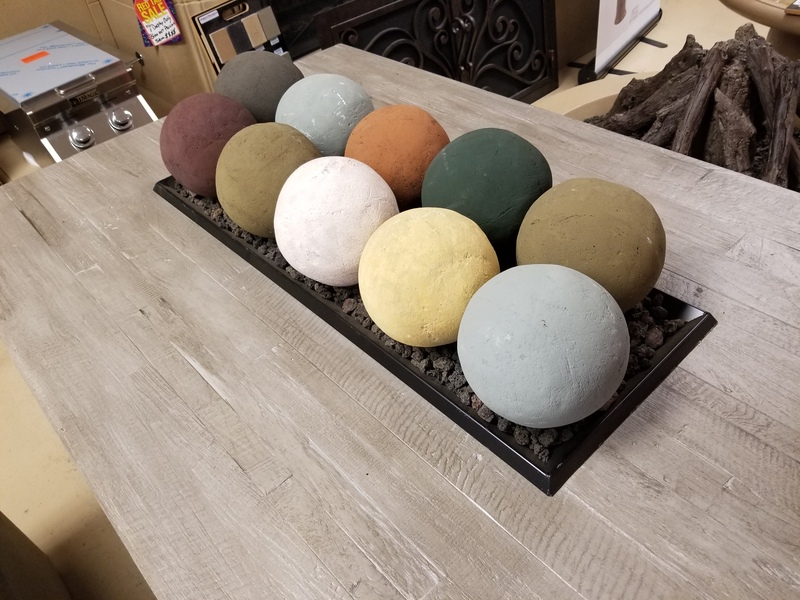 They've been producing quality log sets for over 80 years now, and they're the only major log company to have perfected their drying process to include metal bars in their logs for extra peace of mind throughout the years. They hand-paint (YES!) each and every one of these logs, and they've kept their manufacturing process right here in the USA (City of Industry, actually - right here in Southern California!). 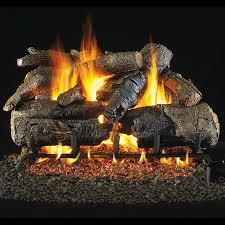 We are very happy to have them and all of our other firelog manufacturers, but this month, the spotlight is on them! Enjoy their quality and design! BUY A CHARRED AMERICAN OAK 24" LOG SET WITH DOUBLE STAINLESS BURNER HEARTH KIT FOR $699 AND RECEIVE THE LOCAL BASIC LOG INSTALLATION... FOR NO EXTRA CHARGE!! First and foremost, this is NOT a Home Depot or Lowe's type of product. For those of you that do not care about quality and just need something to work for 'the event' or 'the weekend', we absolutely agree; go to the DIY store and get a $199 heater. We fully understand. Now... if that's NOT you, and you want quality, and you want to purchase ONE heater for the next umpteen years, then buy a Patio Comfort Portable Heater. They start at about $549 delivered to your door locally, they perform well with quality-engineered internal parts, emitter grids and burners, and they have a history of performance with our company. If you need parts down the road, they're right there in Irvine (Southern California), so getting parts is NEVER difficult. We have this brand everywhere around the Valley, at most restaurants you go to, so... they're very well known. You will NOT be unhappy! 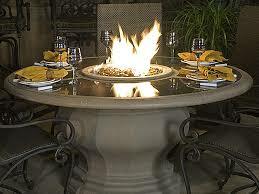 BUY ANY FIRETABLE, FIREPIT OR FIREPLACE (OR URN) FROM A.F.D. THIS MONTH AND WE'LL OFFER YOU A FLAT $99 FEE FOR THE SHIPPING OF THE PRODUCT TO OUR STORE!! NO RAIN CHECKS. MUST MENTION SPECIAL AT THE TIME OF PURCHASE. NOT GOOD ON CONTRACTOR SALES OR WITH OTHER PROMOTIONS. YOU KNOWING A FAMOUS ACTOR OR A CONGRESSMAN WILL NOT HELP YOU. :) YOU MUST MENTION THE SPECIAL(S) AT THE TIME OF PURCHASEIN ORDER TO GET THE DEAL. 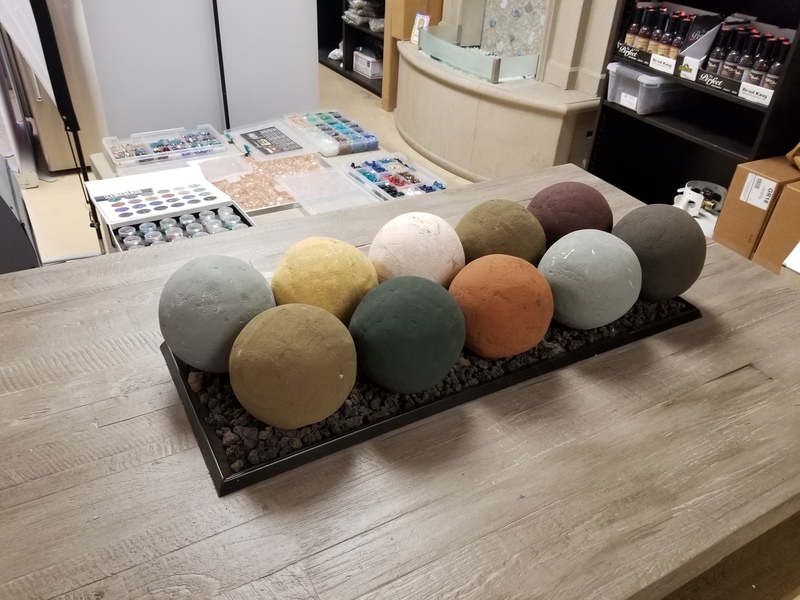 We are a company that has been in business since 2000 and is the oldest same-owner bbq grill, fireplace and hot tub store in the Coachella Valley.